Welcome to the Berson blog – your ear to the ground. 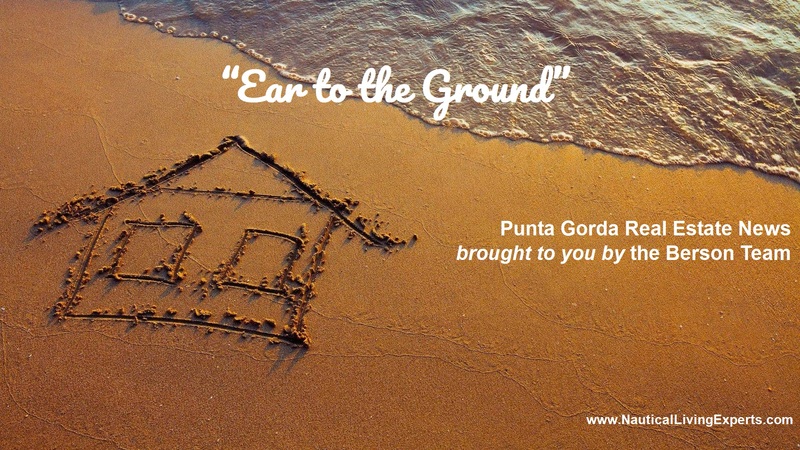 We are real estate experts and enthusiasts for Charlotte Harbor – Punta Gorda real estate. 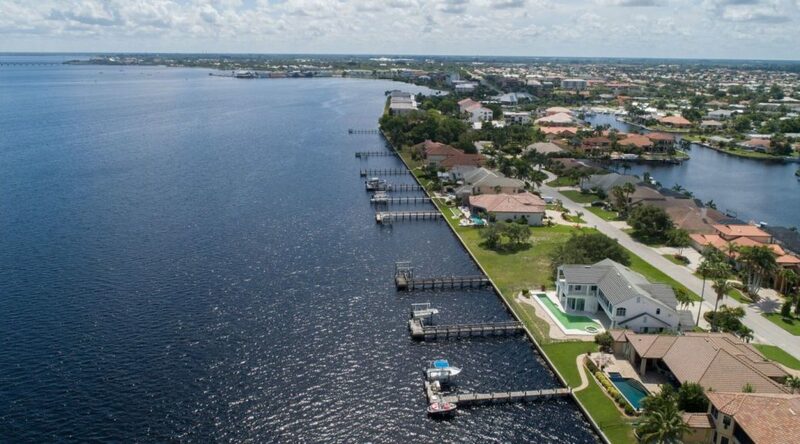 Our insights offer a quick and off-the-cuff synopsis consisting of impressions, jottings, and information regarding the nitty gritty goodness of our Charlotte Harbor lifestyle and the real estate that surrounds our magical Peace River. 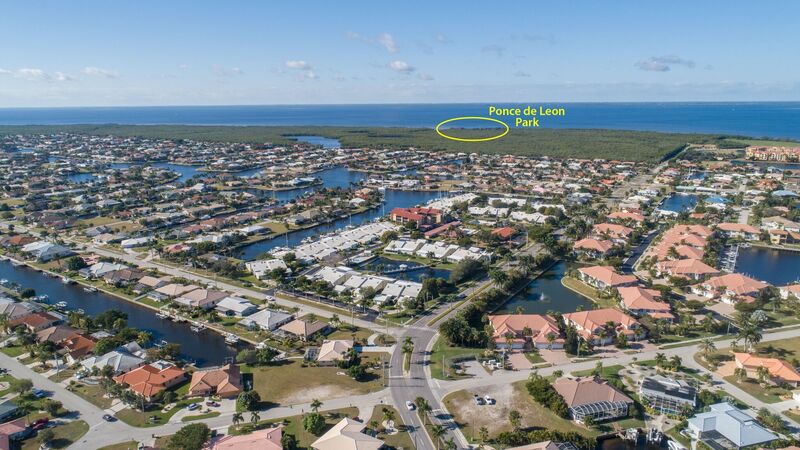 The Berson Team is proud to introduce the Green Coast Homes Model Center located in the nautical-resort community of Burnt Store Isles in Punta Gorda. The Monaco Design is easy, stylish and green. Dreaming of a home with panache? Stop by today! A distinctive collection of model plans available to be built your home site. Experience the architectural mastery, exquisite interiors, incomparable lifestyle, and choose the home of your dreams. All brought to you by a best-selling, award winning Green Coast Homes builder. GREEN COAST HOMES “MONACO MODEL” is inspired by the aesthetic and spirit of year round waterfront indoor-outdoor living. The award-winning design firm Clive Daniel Home and Wilfredo Emanuel, IDS spearheaded the coastal modern design style. The Monaco has a unique and refreshing coastal feel with furnishings that are comfortable and inviting. The use of light blues and turquoise are predominant, creating a crisp and relaxing environmental space inspired by the waterfront views. Each room creates a memory moment that is something new, invigorating or timely. It’s easy, elegant, comfortable and inviting throughout. The Monaco uses architectural components to bring the design totally on trend. More than anything Brian Sujevich of GCH knows his clients crave what’s modern and relevant today. The open floor plan integrates the interiors with the outdoors resulting in a perfect space for entertaining. 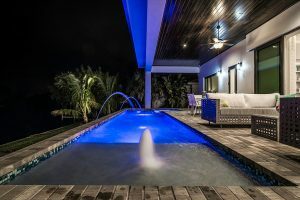 The welcoming lanai with its exquisite outdoor kitchen and bar area – complete with 34’ lap swimming pool with sun shelf and spa – were designed to bring pleasure to those who seek the best surroundings for enjoying Southwest Florida’s outdoor lifestyle. Green Coast Homes is Your Source for Unlimited Possibilities to Create a New Dream Home that Fits Your Style – and Your Life. In 2001 Brian Sujevich established Green Coast Homes with the intent to provide a general contracting company for sustainable, high-performance homes with competitive pricing. 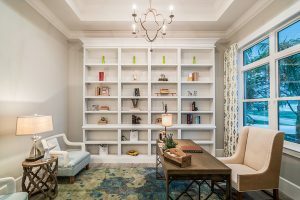 Discover a distinctive collection of stunning model floor plans and elevations, with exquisite interiors to be built on your home site. GCH passion is innovative design, across a wide range of styles, attention to detail, uncompromising quality and unbeatable performance. 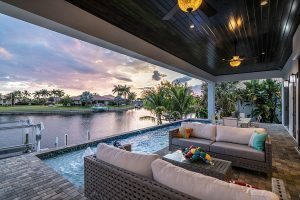 With GCH you will enjoy a modern home designed to capture your water views with all of today’s architectural features such as glamorous outdoor entertaining plazas, state of the art kitchens and luxurious amenities that are very important to today’s buyer’s lifestyle. 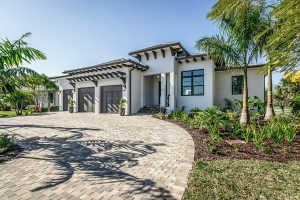 GCH’s offers house plans for every lot size including cul-de-sac, tip, key and standard lot sizes in the Punta Gorda and the surrounding Charlotte County communities. Each house model design-build plan features a base price and then you choose the options that customize the home to your taste. Whatever your investment preference, the choice and options are at your discretion. 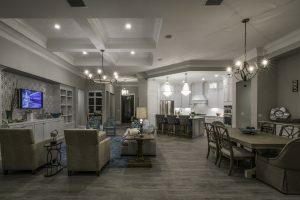 From architectural plans and interior design through home construction you will have a dedicated team to serving your needs and guiding you through the custom home building process. If you’re looking to build your dream home, achieve a green remodel or increase the efficiency of your home, stop by Green Coast Homes today. “Sustainable building experts who care for our client’s health, time and budget. A common misconception is that ‘building green’ is too costly for purely altruistic reasons. Oftentimes this is incorrect for two reasons. First – many sustainable building techniques and materials can be implemented with little or no additional cost; it just takes knowledge of how to do so and dedication of the project team to prioritize these goals. Second, building green is not just about saving the planet for future generations. It’s about making life better for yourself right now in many ways such as healthier indoor air quality, improved comfort, and increased durability. Building green doesn’t always mean large upfront costs. 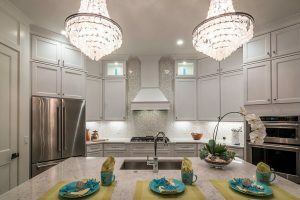 Energy and water efficient appliances and fixtures are commonplace and are cost-comparable to their conventional counterparts and will also save money on utilities in the long run. Significant money savings can come through high-performance building techniques that allow for more seamless insulation and air-and water-tightness. GCH offers an extensive knowledge base of green building materials and solutions.